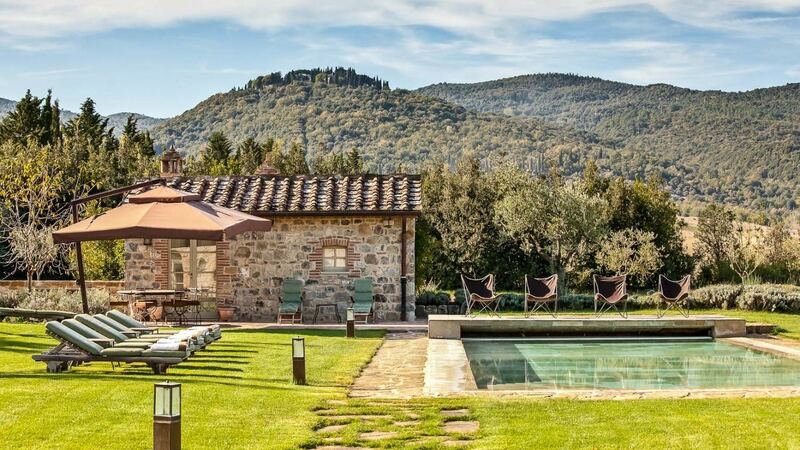 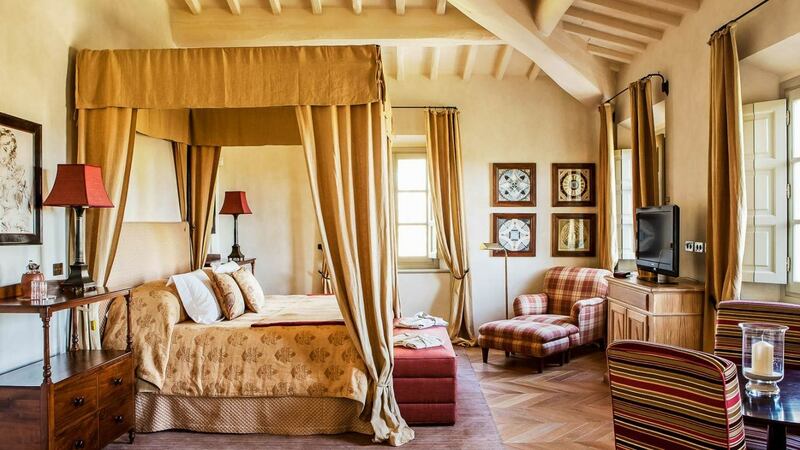 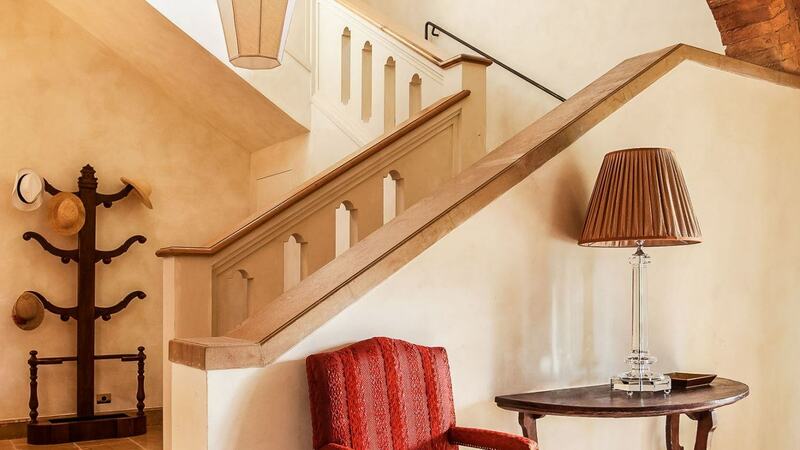 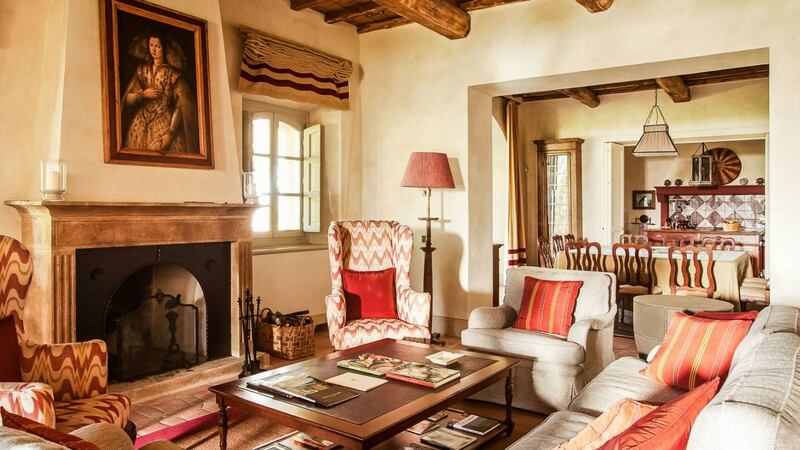 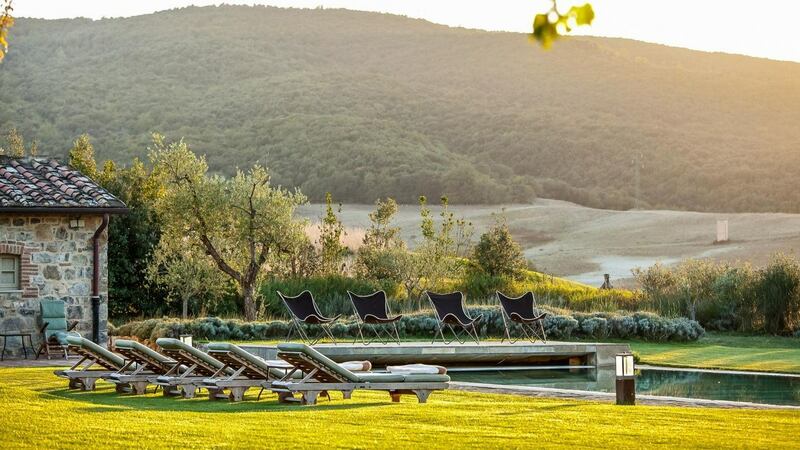 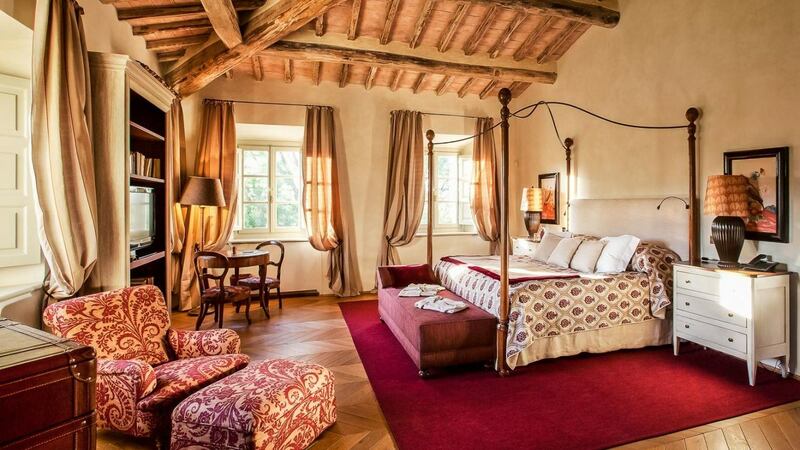 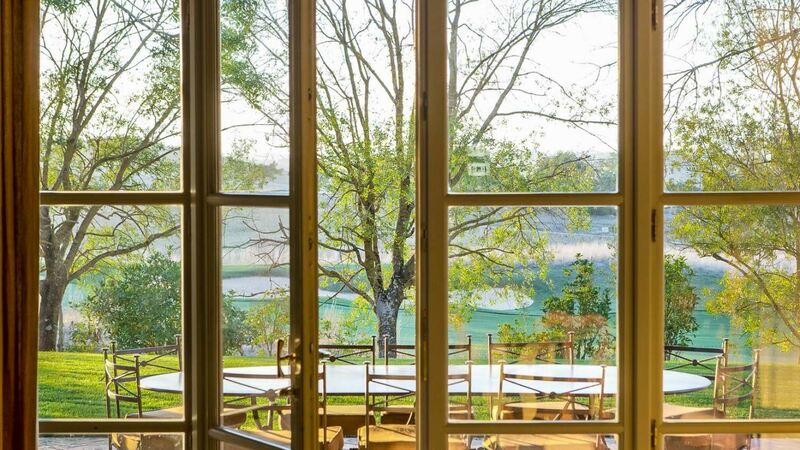 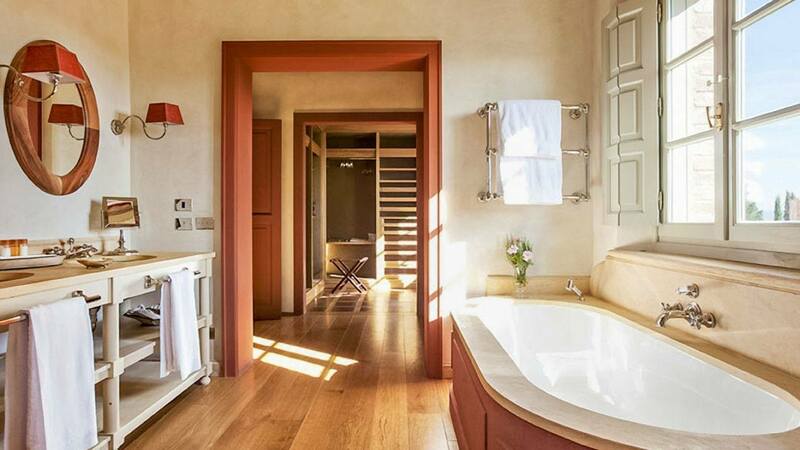 Villa Callet is located on the Rosewood Castiglion del Bosco estate in the Val d’Orcia region. 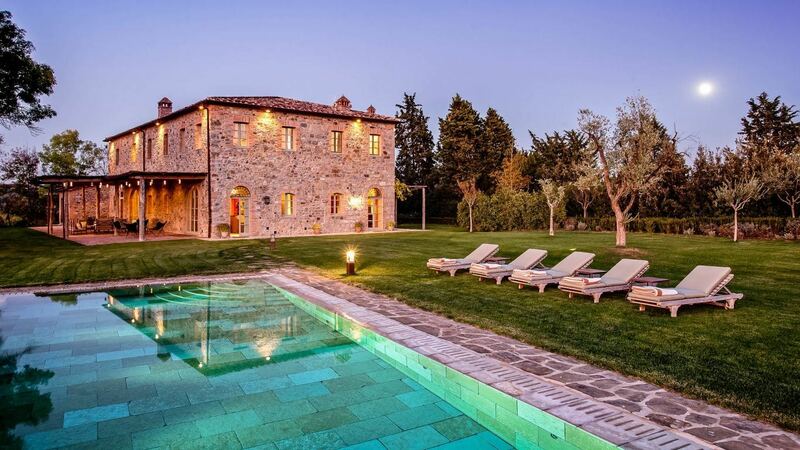 the villa is set amid green lawns with panoramic views of rolling hills. 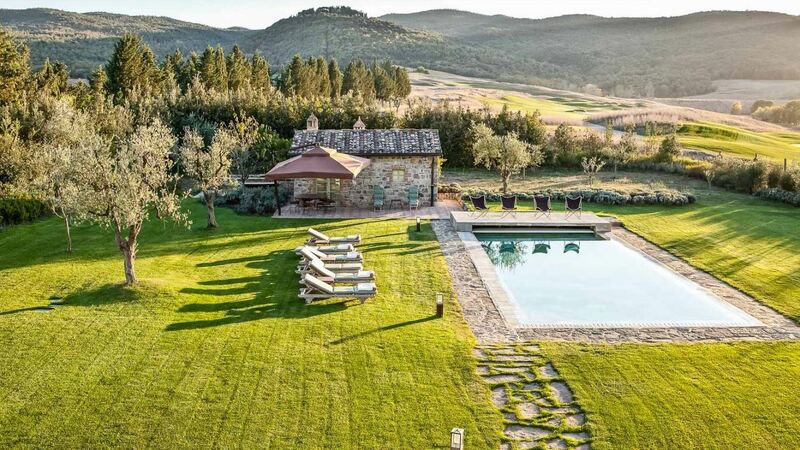 It’s only 4 miles to the nearest restaurants in the nearby village, and just over a mile to the Borgo. 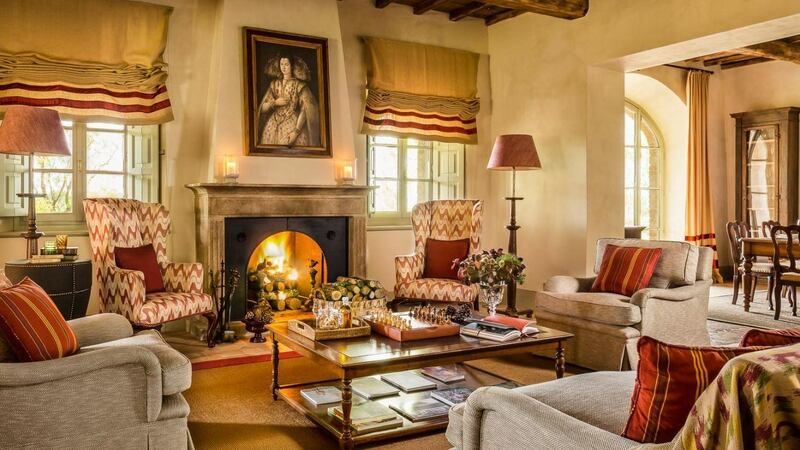 In the living room, neutral sofas, wingback chairs in muted reds and a traditional-style wooden coffee table cluster around the cozy fireplace. 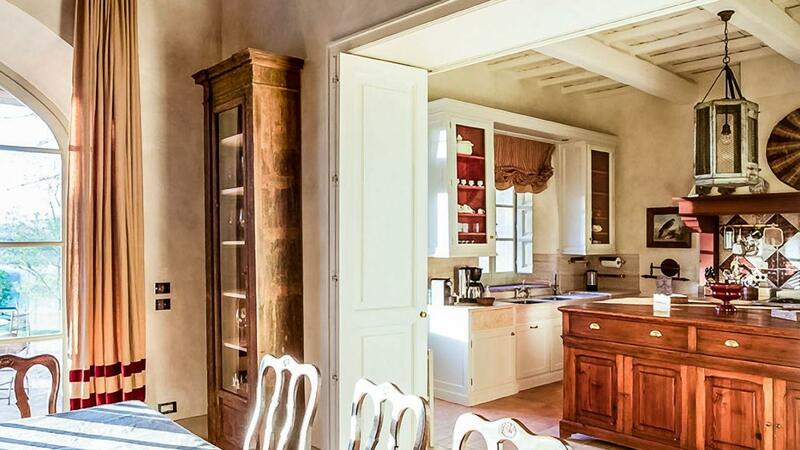 The dining room is fresh and simple, with wooden chairs, warm white walls and plenty of light from the large window. 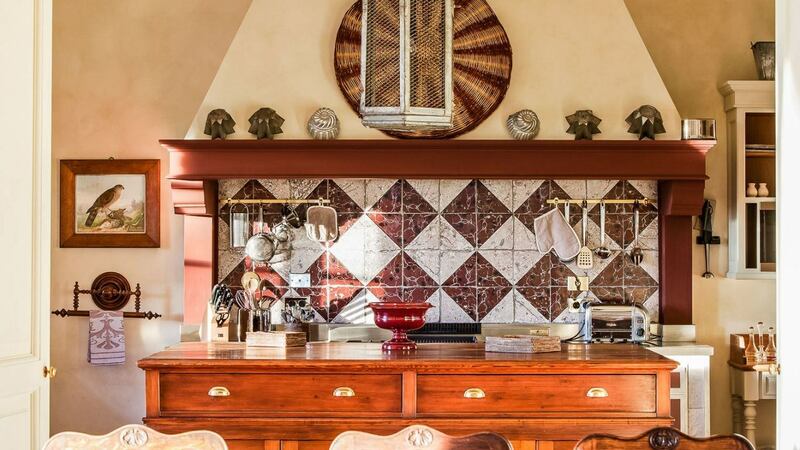 In the fully equipped kitchen, a striking wood island makes a roomy work space or handy serving station. 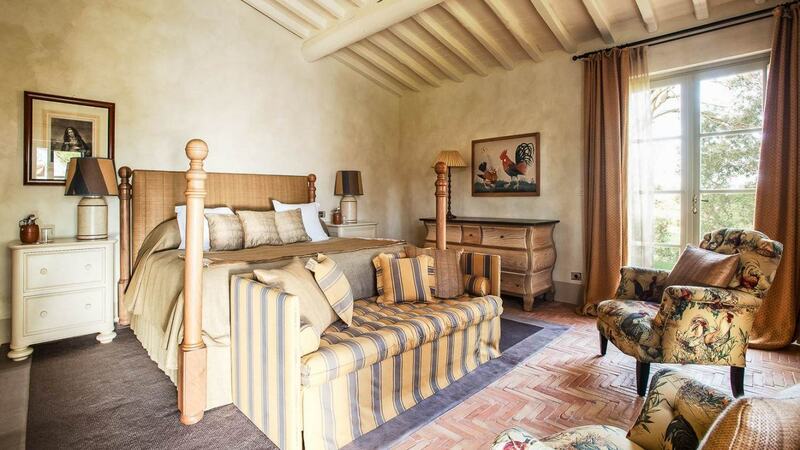 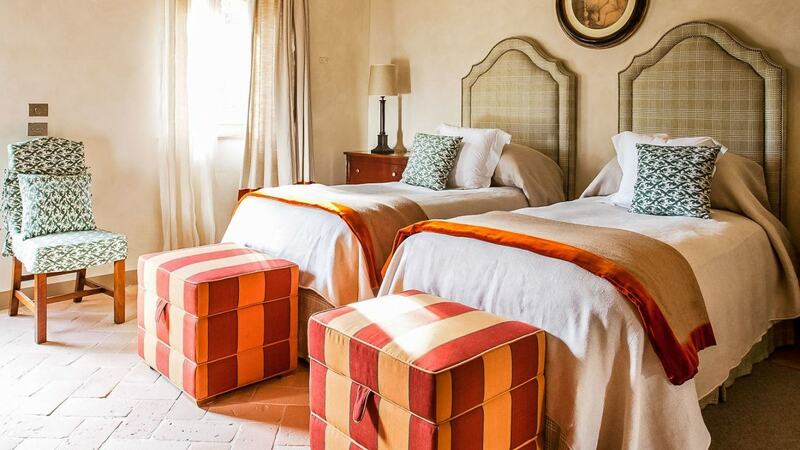 Each of five bedrooms has an en-suite bathroom, flat-screen TV and a warm mix of traditional and rustic style. 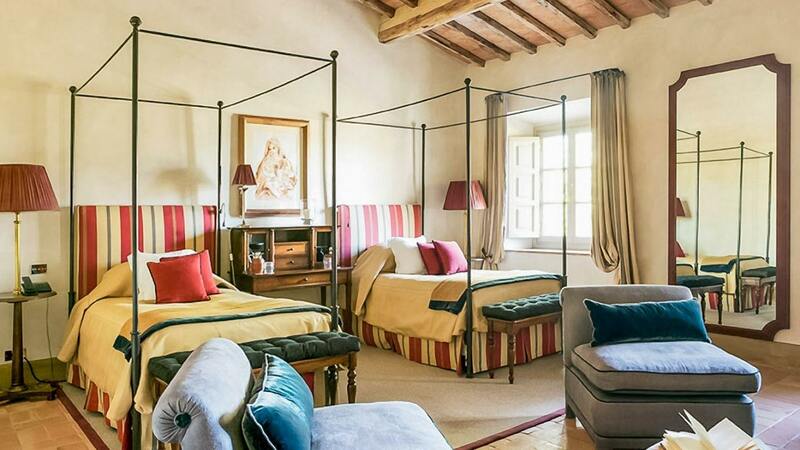 Choose from the chaise longues by the pool, a shady spot in the pool house, or a seat under the pergola off the back of the house. 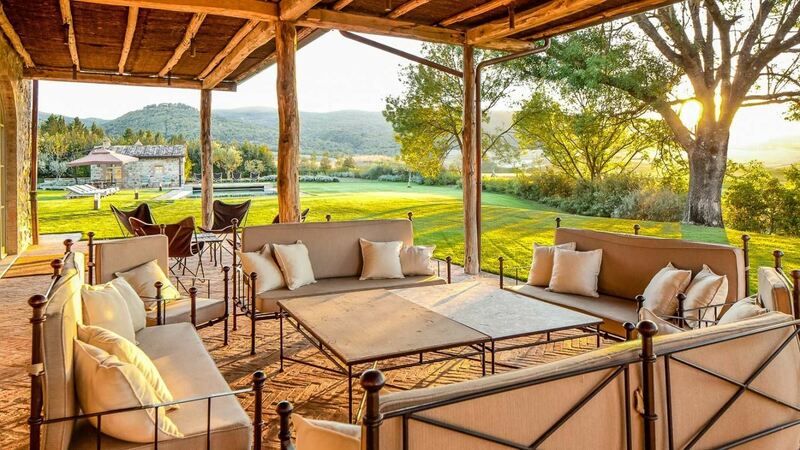 Though you’ll receive a daily delivered breakfast, save room for a meal at the outdoor dining area.